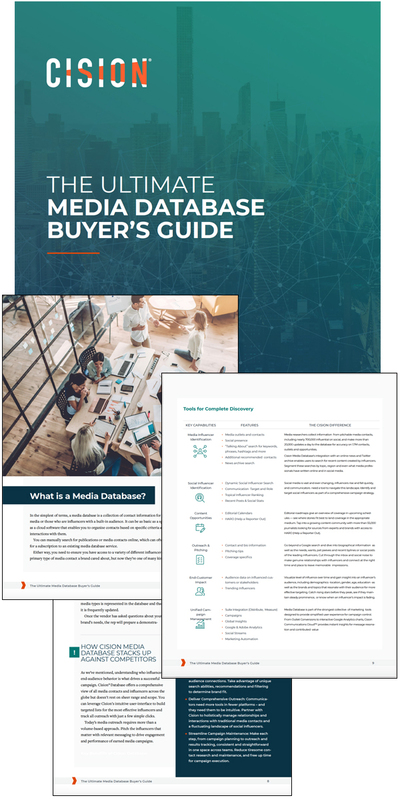 Considering a media database solution, but overwhelmed by the vast array of options and features? Read our buyer’s guide, and learn how to choose a “smart” platform that will identify the most relevant influencers across both traditional and social media who overlap most with your target audience. Before choosing this essential software it’s imperative you have a clear understanding of the capabilities your company needs, and how the database solution fits into the scope of your overall communications strategy. Our guide is a step-by-step reference that helps you choose this critical tool, and empowers you to fully understand how the depth and sophistication of a database solution affect your comms programs.